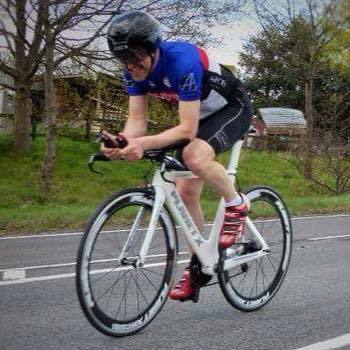 Newport Shropshire Cycling Club is proud of the powerful identity it has acquired over the years with Newport and it’s residents, but also with the cycling community on a regional and national level. 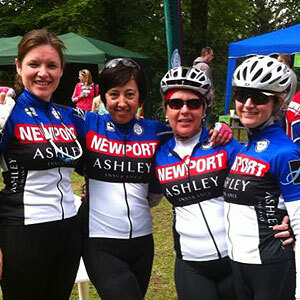 Newport CC has a strong local identity and has reached out into the community by way of the British Cycling Coaching Scheme, with the historic link to the Newport Nocturne and with our presence at the Newport Community Games, the club is always readily identifiable. 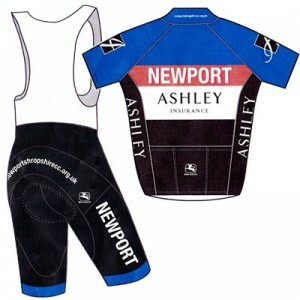 One way to have a clearly defined ‘brand’ identity is through the club kit (clothing), which helps everyone to identify with Newport’s very own cycling club. Keep your eyes open for your town’s kit, which carries the ‘Three Fishes’ emblem, synonymous with Newport town. 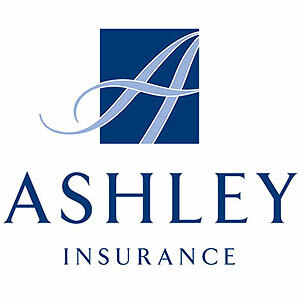 2013 brought a new dimension to the club – an association with our new sponsor, Ashley Insurance. 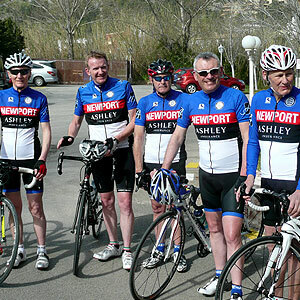 Keep a lookout for our Newport CC kit, usually out in force on Sunday mornings in the very heart of Newport at Central Square, before heading off at 9.30am on the weekly social club runs to various destinations in the local area and further afield.